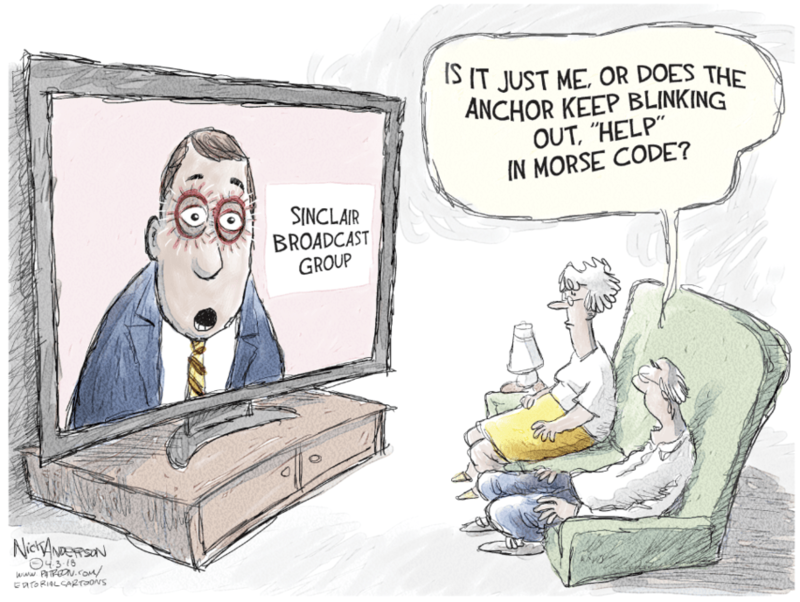 Why is Sinclair Broadcast Group making news instead of reporting news? Because it wants to control what you think. Amazingly, it’s more insidious than Fox News. We thought news coverage was bad. It’s now worse. Take a look. This entry was posted in Art, Journalism, television by brobrubel. Bookmark the permalink.